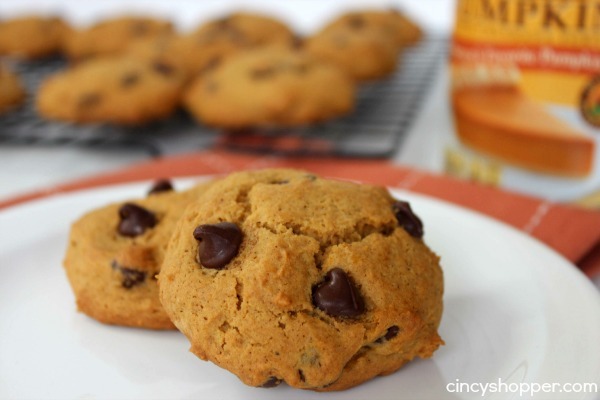 You are going to be making this Pumpkin Chocolate Chip Cookies Recipe all fall long. 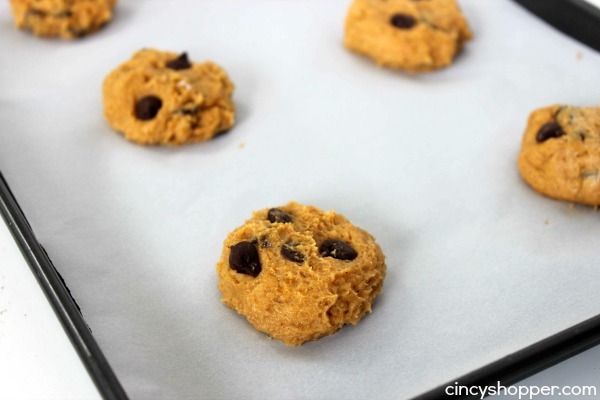 If you are a fan of pumpkin and chocolate chip cookies this recipe is for you. Fall comfort foods are popular in our house. I shared our Pumpkin Donut Recipe with you yesterday so you know we LOVE pumpkin. But cookies are a must fall comfort food. 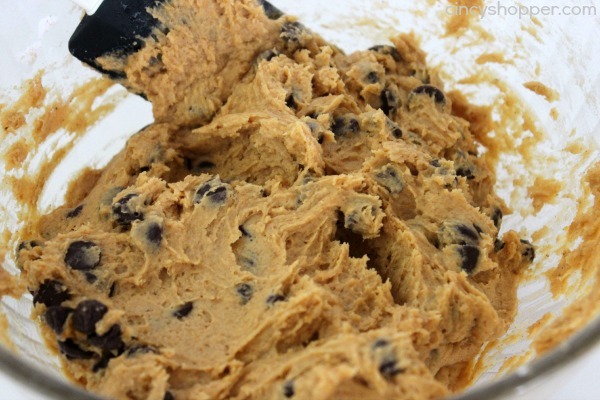 There is nothing better than making the house smell wonderful with a fresh batch of cookies in the oven. Chocolate Chip cookies are a favorite around here. 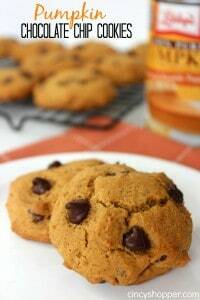 So last week I decided it was time to mix things up a bit and make some yummy pumpkin chocolate chip cookies so we could really enjoy the flavors of fall. This Pumpkin Chocolate Chip Cookies recipe is a cake type cookie so perfect for dunking in a nice hot cup of coffee. I am actually eating a few right now as I type this post for you. The pumpkin and the chocolate chips come together nicely. The pumpkin is not overwhelming. I was worried that the pumpkin would overpower the cookie but, these were perfect. 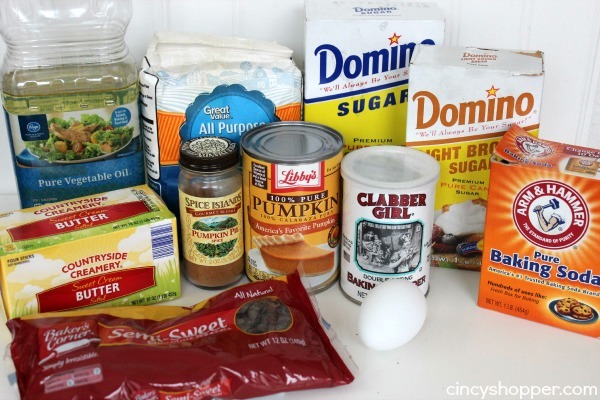 The ingredients are quite simple, you r basic cookie ingredients with some pumpkin, pumpkin pie spices and of course chocolate chips. 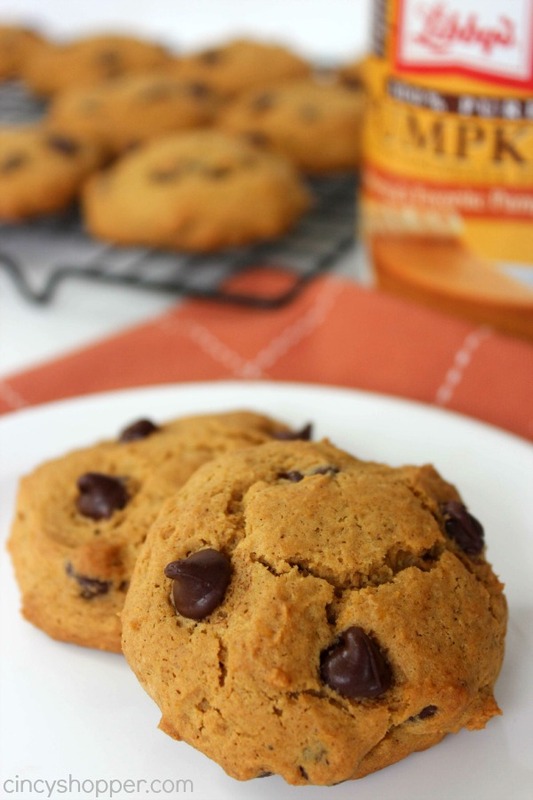 These Pumpkin Chocolate Chip Cookies are going to be perfect all fall long. I am thinking they will make a great addition to our Thanksgiving Holiday too! Form dough into 1 1/2" balls and flatten to about 3/4" thick.